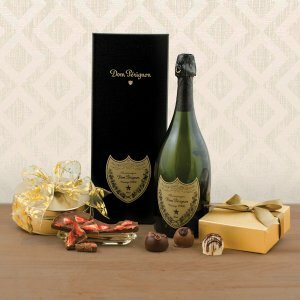 A gift of champagne is a gift of luxury. 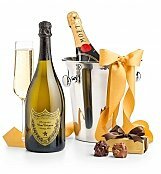 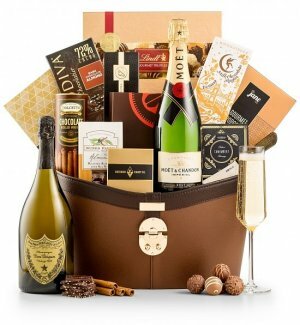 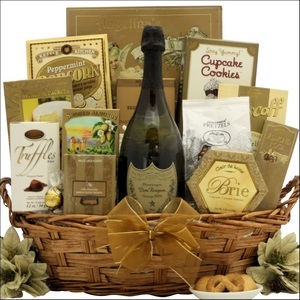 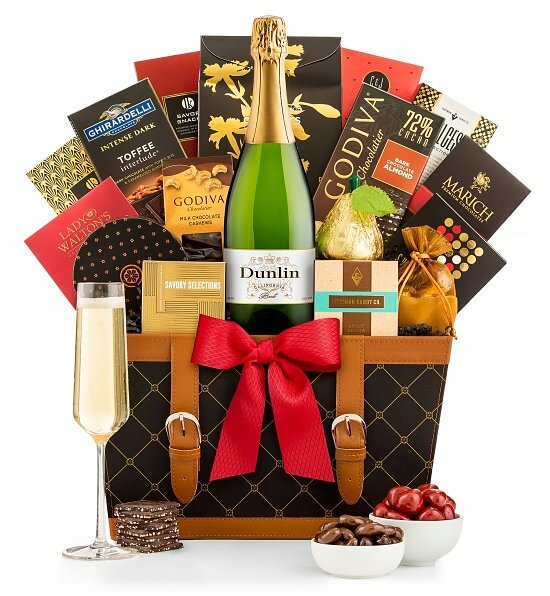 We offer gift baskets with delivery available to most addresses in the United States with bottles of luxury champagne including the favorite Dom Perignon, Veuve Clicquot, Moet et Chandon, Mumm and a few with the ultimate in champagne luxury Louis Roederer Cristal. 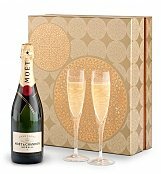 A gift with any of these champagnes is surely a gift of celebration, appreciation, congratulations, New Year's or a big thank-you, love you or thinking of you. 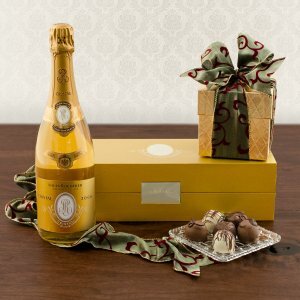 Our champagne gifts also include numerous gourmet food items or gourmet chocolate - enough again to share with a large group. 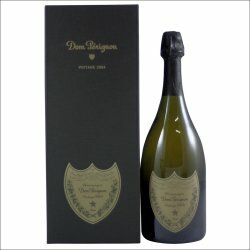 Who doesn't love a bottle of champagne. 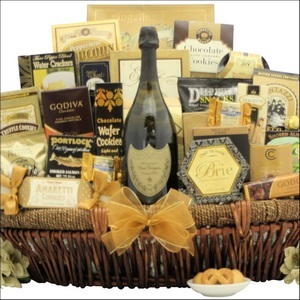 We have paired our bottles of wine and champagne with perfect gourmet foods, cheeses and gourmet chocolate. 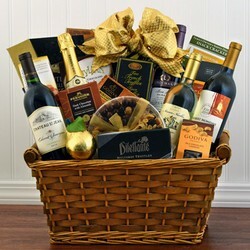 Our choices of wine are varied and include the very best varietals. 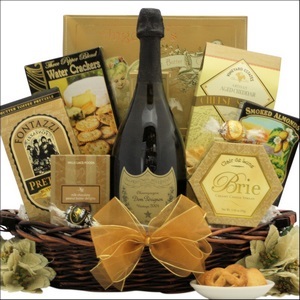 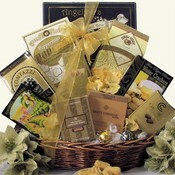 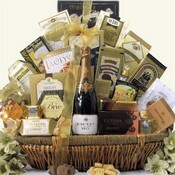 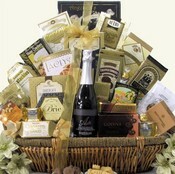 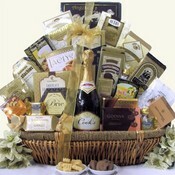 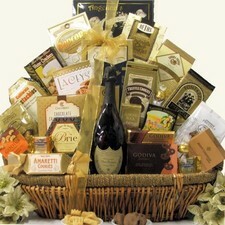 Our champagne baskets are sure to impress and any recipient will be thrilled with the thoughtful gift. 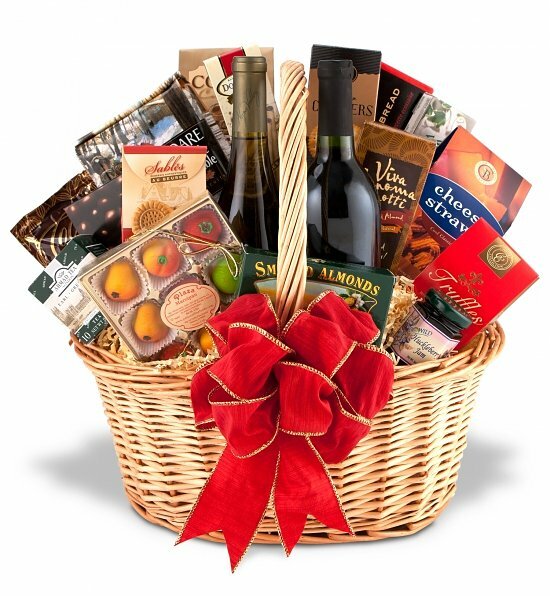 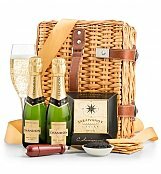 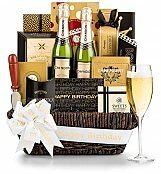 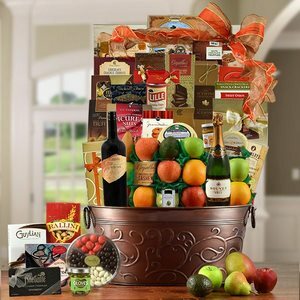 Our champagne or sparkling wine gift baskets delivered to the USA include taxes, gift card, gift wrapping and many include free shipping. 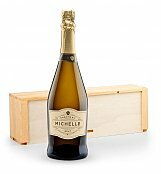 Please see the shipping notes for some wine shipment restrictions.